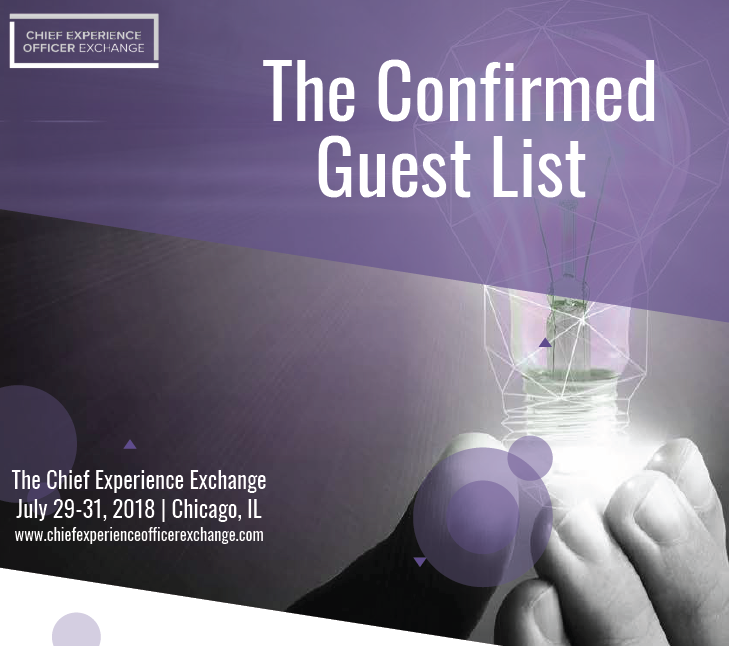 The Chief Experience Officer Exchange has invited the CXO's from the most customer-obsessed brands to us join for 2 1/2 for an exclusive close-door, networking opportunity. Want to see who is joining us? Download the confirmed guest list. If you are interested in requesting an invitation, email enquiry@iqpc.com. This event will be capped at 50 CXO's.